The center of Ancient and Modern Greece, and the birthplace of Western culture as we know it, Athens has been built on layers of history, piled—literally—on top of each other. With nearly 3000 years of continuous history, Athens is a marvel. Whether it's an archeological study of ancient Greek artifacts at the Acropolis, an in-depth look at the days of Socrates, or a view into contemporary Greek cuisine and politics, there’s no better place to learn than the complex maze that is the Greek capital. 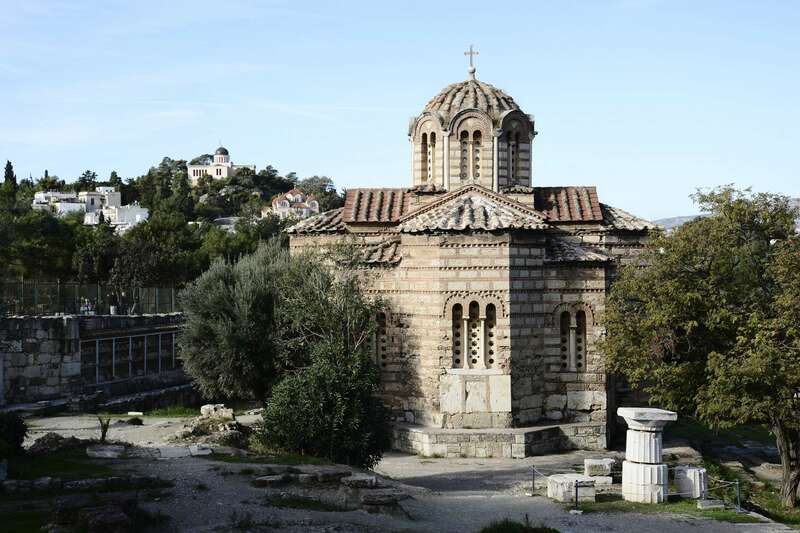 Discover the spirit of Athens with Context's private and semi-private guided tours. The guides who lead our private and semi-private guided tours in Athens are archaeologists, historians, and other experts. We offer a wide array of options. Are you a family? We offer family tours, including the Acropolis For Kids, which helps to bring to life to a site that can come off as staid for younger visitors, and our Athens for Kids Tour of the National Archaeology Museum—both of which are led by our experts trained to help immerse younger audiences in the times of the ancient Greeks. Looking for something unusual? Visit Plato's Academy on our Socrates in Athens Tour, explore Byzantine Athens Churches, or discover the modern city on our Athens Architecture Tour, which dives headfirst into exposing how the different layers of history coexist, and even interact, with one another in this city. Among our favorite Athens private tours, however, is our Contemporary Athens in Context, which shines a light on contemporary politics and the ongoing impact of modern Greek history, from Nazi occupation to the financial crisis.